As I scroll through my phone photo gallery, I sigh feeling a tad bit overwhelmed. So many things are happening in my life every single day and it’s so much easier to update it immediately on instagram, but I never feel it’s enough to tell my story – I still belong here in Proudduck. I feel like when my kids grow up and want to read about Mommy and Daddy, so much is left unsaid here because I simply didn’t have the time or energy to update my life ups and downs. Excuses, excuses – of course. So I’m going to take a moment, stop thinking about other things and get lost in my happy world of just me and this keyboard. Today, I want to write about friendship. Many years ago, 21 years to be exact, I met a new girl in school who I very much disliked. She was replacing me to be Number 1 in class, the teacher’s favourite and I really wished for her to go back to Kelantan. That threatened feeling turned into admiration when I let her into my life and we were inseparable. We went to boarding school together and us being very different in nature (her being very obedient and hardworking, me being rebellious and wanting freedom), I left the boarding school. She stayed on in Seri Puteri, and I enrolled in Cempaka. We were still inseparable and I remember waiting by the phone at home after school waiting for her to call me from the boarding school’s payphone where we only could speak for 10 minutes top. We continued to grow apart physically – she went to Australia, I went to the UK. And we still remained inseparable despite the distance – we Skyped so often, at times even leaving the video on just so we could feel each other’s presence. Even our parents, boyfriends, ex boyfriends, friends knew that we were made for each other as best friends, no matter how different we are. That is my best friend Ajjrina who we affectionately call Toots. Meanwhile, I was enrolled into agama school in the evenings by my parents. They thought I was studying the Quran and learning about religion (which of course I did!) but a large part was also making friendship with this “wild” group of friends, one of them was this quiet but stylish-from-young girl. This was Asma’ who we affectionately call Mimak. She was the life of the party in her private group of friends, had this “cool girl” factor even from young. We parted ways and many years later, in 2010 I bumped into her at a public toilet. I knew she saw me but she pretended not to (seriously unapproachable those days, this girl) so me being me, I went up to her and said “Hi!” The rest was history and through our love for fashion, we instantly became best friends. 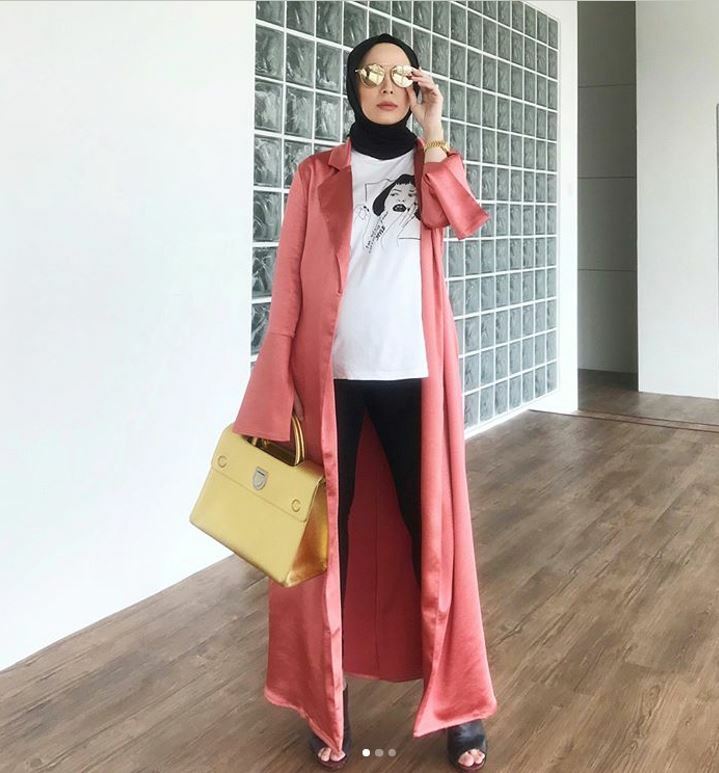 In fact, she was such a big part of my life that since she was into fashion, she was the first person I told about FashionValet “So I was thinking about a website that groups all the local designers together. I don’t know…. What do you think?” were my excited yet nervous words to her that one afternoon. She was going through a transition in her faith for Islam at the time, and she found a stronger love for it – started praying sincerely, started covering up, started waking up in the middle of the night to read Quran. I knew immediately she would click with Toots – who was and still is very much like that too. I told her one day “You have to meet my best friend Toots. You’re going to love her – she likes to pray too!” We laugh about it now, but that line was the start of this beautiful friendship between the three of us. Us being lame, it obviously had to have a name – AVA. We talk every single day, and I make it a point to get upset if one doesn’t update the other. In life, there are ups and downs and you need to talk and share with your closest friends – it keeps you sane and healthy rather than bottle it inside. We bounce off ideas all the time, we advise each other with brutal honesty, we share our knowledge about everything and we love each other unconditionally, fat thighs, stretchmarks, hairy legs and all. We are happy when the other is, we are sad when the other is. In this life and the hereafter, we always joke we should move in together (our husbands get soooo annoyed with us) and we dream the ultimate dream – to be together in heaven too. For now, it’s all happy times for us. For me… Things are going well for me in family and career, Alhamdulillah, and they continue to motivate me at the same time pulling my legs back down to earth. It’s happy times for Asma’ too. After so many tests in her life (seriously you guys have no idea what she has been through), she remained hopeful and only prayed to Allah to give her the best that He thinks she deserves. He made her learn a lot of things along the way but we all knew that there was something amazing awaiting her – Yusuf. Now, I don’t know him well enough and he’s still undergoing probation from us… but from what Toots and I gather so far, he seems to be alright. Hehe. She met him through a friend 2 months ago, and just like that, we are planning her wedding this September. I remember meeting Yusuf for the first time – it was at Toots’ house and we all interrogated him like mad with a nervous Asma’ between us. Why do you want to marry her so fast, what do you for a living, how are you going to provide for her, are you going to let her work after marriage, where will you guys live, are you going to be able to make her happy, her birthday is coming up – what would you get her as a gift, how much do you know about her, do you know she’s gassy? – marriage is no joke, and we’ve got to ask the hard questions now, no matter how awkward it may be. He answered all of them correctly and it was difficult to find a flaw in him – he is right for her, in our eyes, however nauseating it is to watch. Making it more beautiful is that Asma’ (who lost her dad and brother) chose Fadza to be her witness during the nikah. She didn’t have to – she could’ve chosen her uncle or anyone, but she made my husband a part of this too. I almost cried when she told me, because I was so touched and because I know that Fadza genuinely cares for her too. He was there when we interrogated Yusuf, cracking lame jokes to help ease the awkwardness. Toots? Sighhh I don’t know anyone more patient and more kind than this woman. She is the epitome of responsibility and hard work, even if it eats her up inside, she will finish the job. She could’ve dodged things and coming from a well to do family, taken the easy way out – but she finished her 8 year bond with her company and climbed up the ladder to become a manager in… ummm, dang it I forgot what department it was but she does big stuff with money and excel sheets and stuff – really should listen more to her. She remains to be a devoted wife and a crazily good mother – I’ve seen Musa pull her scarf, drool on her shirt, cries and whines so loud and she still kisses him with a big smile on her tired face – that’s an amazing mother. 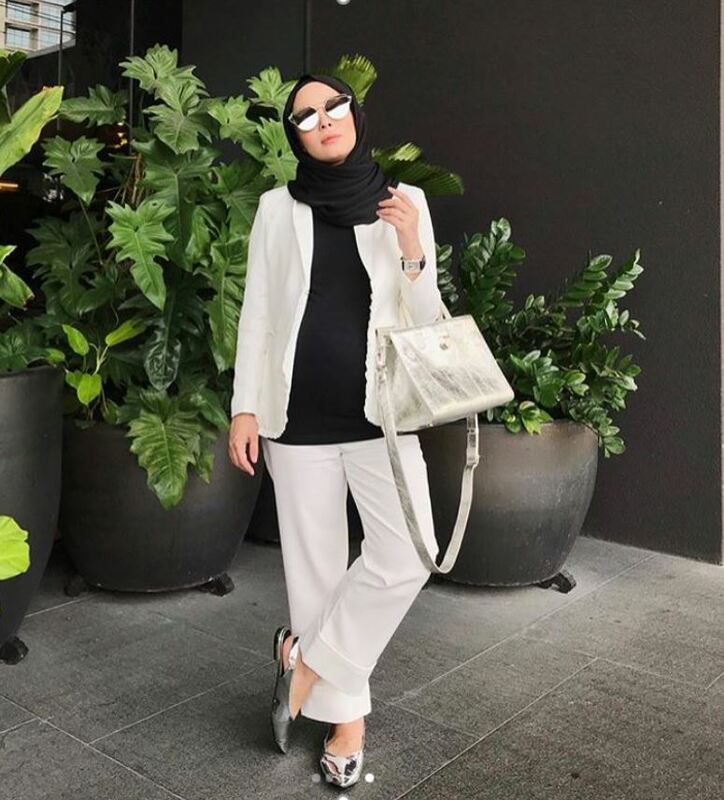 Now, she’s got a huge ball of a tummy waiting patiently (and grumpily tired) for her second baby to come out – another boy who we might name Muhammad Ava (kiddingggg!). I left her yesterday as I got on a flight to San Francisco for a course (seriously, I have soooo much to blog about!). 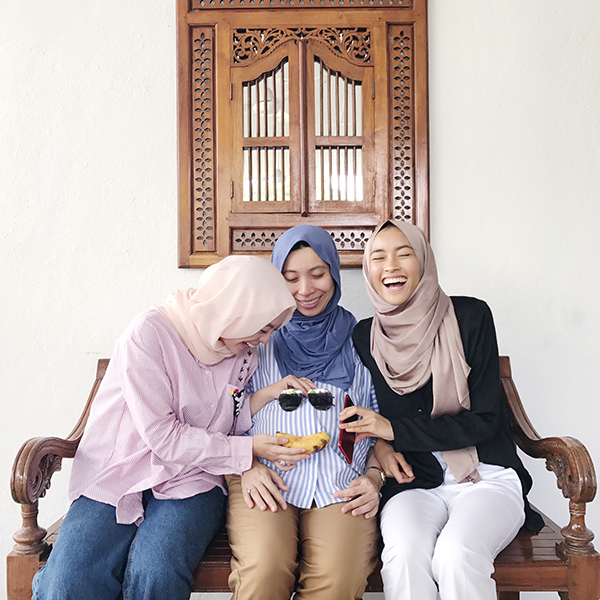 They crashed my family lunch, and I made a big fuss about serving cempedak goreng that I requested just for Toots to satisfy her final pregnancy cravings. I made sure no one touched her portion and was fierce about it much to everyone’s annoyance! I felt a tinge of sadness because I had a funny feeling that she will give birth when I’m away (my sister is also pregnant but that baby and me made a promise to stay in until I’m back as her due date is much later). I hugged Toots and rubbed her belly yesterday and that might be the last time I’m seeing her as a whale. Haha. Sigh but seriously, the thought of not being able to be there for her hurts but Asma’ promised to document everything for me. My two best friends don’t realize it but they are one of my strongest rocks in life teaching me good values and reminding me to pray everyday, and I just cant thank God enough for this friendship. During my recent Umrah trip with Dean (did I blog about that? I can’t remember! ), I allocated a few minutes just sitting and praying for them as I did for my other loved ones. I’m so happy that they’re both entering new chapters of their life currently (new husband, new baby) and I feel so lucky that I get to witness these moments. To Toots and Mimak if you’re reading this, no need to gloat, you guys are just alright no big deal. Disclaimer: I have other friends too, fyi, just in case they read this and merajuk – I love y’all too ok?! MashaAllah I loved reading about the first (& second, third, etc) time you all met and rest is history aaaa may Allah bless everyone with a friendship like this! I was just reflecting this week that there is indeed ‘love at first sight’ in friendships. This is sooooo beautiful Vivy..
Now Im re-evaluating my circles. I know that I want to go to heaven and so they are. But to work out together on this matter, our friendship definitely is going to be stronger and matters. I hope I can go to heaven, meet my friends again, Vivy (reminiscing on reading her blog) and friends and other readers too. Lets do this, guys! Persahabatan yang terjalin terlalu indah. Sahabat ketika senang mudah dicari tetapi sahabatbketika susah sukar dicari. Just love to see ur friendship. Semoga persahabatan ini membawa ke jannah. Thats a beautiful write up cik V. InshaAllah if u keep doing things right, all of u shall meet in Jannah someday. Amin. Such a beautiful story and thoughts~ Love reading this! A bit teared up when reading this entry especially when it comes to Asma’ stories. May all of you be given a barakah life here and after – in Jannah. Amin! Thanks for sharing this. I can feel the energy and the hope is alive again.. Despite the hardship, Asma still can give a big smile. How can she do that? Vivy, you are absolutely correct “sincerity” is the key word in all that we do to sustain such good and honest friendship 🙂 I am feeling blessed too after reading this. What beautiful friendship you’ve got there Vy! And I have to agree with everyone that Asma’ is simply amazing! Despite the setbacks that she faced, she is still able to smile and sincerely feel happy for both your and Ajjrina’s marriage. I admire her for that! If you’re reading this Asma’, I wish you all the best in your marriage and may He always bless you with all that you wished for. The content of this entry is full of beautiful things, Vivy! I can’t hold my tears while reading the entire post, it has burst. Its true, sincerity is hard to find. thanks for remembering us on the virtue and real value of friendship. For me,its a working progress,so I cannot stop working on it and its a gift from God. God plays a huge part in whom we met in our life, including the timing. I, for once met my bestfriend while working at a local store in a small town. Fate lead us to where we are now, and I still cant forget the day when I first met her. I thought she was older and she thinks im such a snob.haha. we are sister now and she got married and has a son. then ofcourse from here, for us who doesnt hav orang gaji/ mak mertua jaga anak. We really had to make time for each other, and those time we had to be separated isnt easy. But when your feelings are mutual,the respect and sincerity is there, Alhamdulillah the friendship is still safe and sound and we were still separable but inseparable by heart. I know the hardest thing is Us, to ikhlaskan diri kita sendiri. To still be giving, while another one might forget or whatnot. Thank you for this post as it leaves a reminder to all of us and how we treated our closest ones.